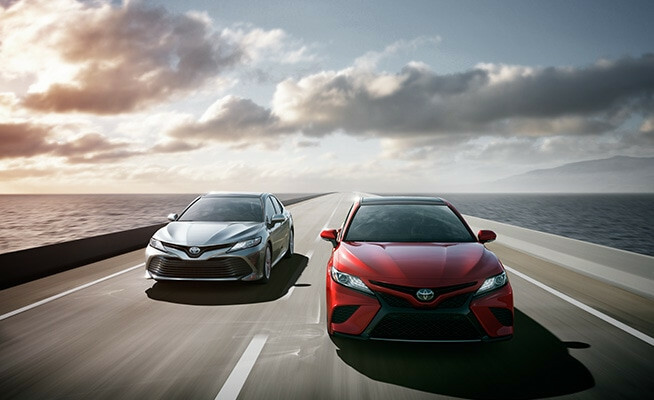 The 2018 Camry has a sleeker profile than the current model. 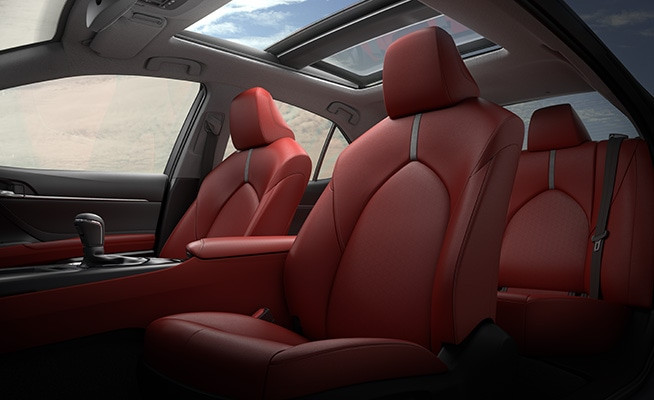 By lowering the hip points of the occupants (nearly 1.0-inch in the front and 1.2-inches at the rear), and therefore their seating positions, the design team was able to reduce the car's overall vehicle height by approximately one inch from the current model and incorporate a lower roofline, without sacrificing interior space. 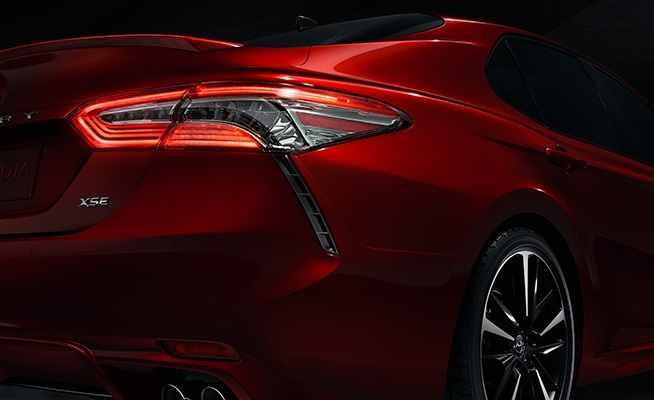 This invited the designers to pursue a wind-cutting shape and improve aerodynamics. 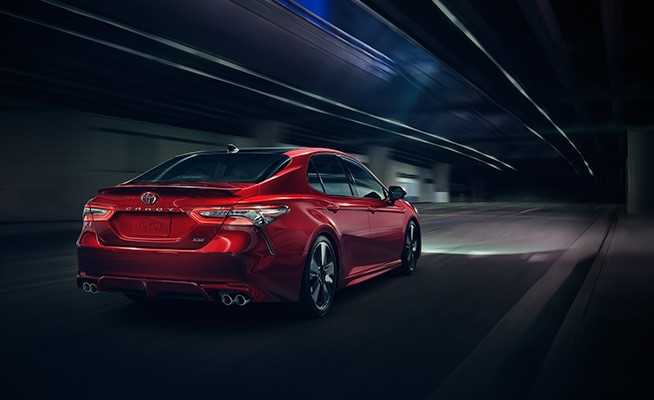 Striking character lines around and along the body augment the aggressive front and rear fenders, giving the reimagined Camry a sportiness that's never before been perceived on this model. 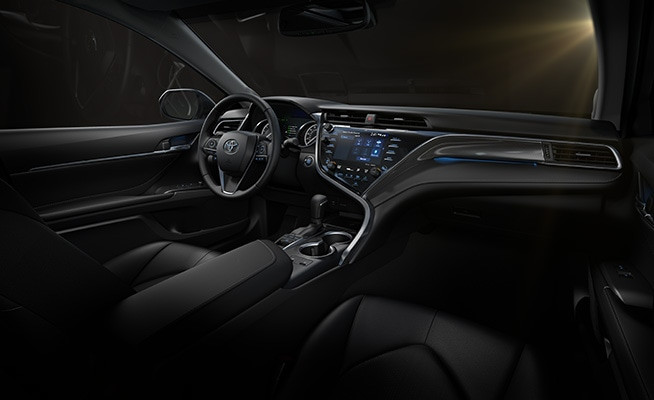 The completely redesigned interior is a fusion of functionality, futuristic styling, and a high degree of personal space and craftsmanship. 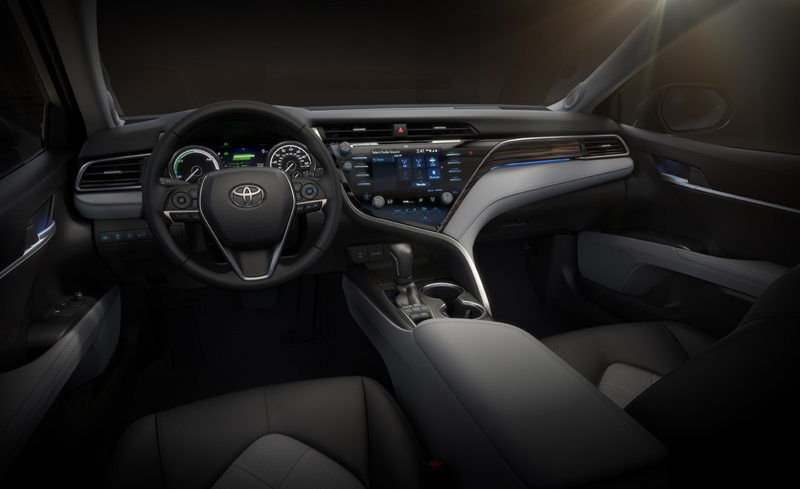 While the driver is situated in a sporty cockpit-type environment having gauges angled toward his or her direction, the front passenger is treated to a sense of openness and freedom that results from the innovative dashboard design. 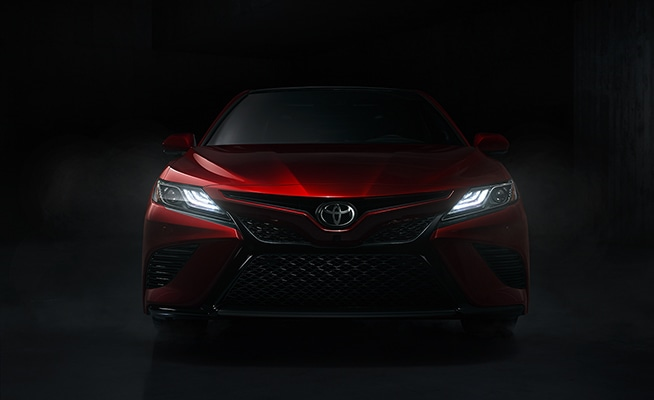 The new Camry features Toyota's latest Human Machine Interface (HMI) whose next-generation display technology offers a unique level of integrated information with minimal distraction. It relays information through three interlinked displays: available interlinked displays: a 10-inch colour Head-Up Display (HUD); a seven-inch multi-information display within the instrument cluster, and an eight-inch audio/navigation display and HVAC (heating, ventilation and air conditioning) control panel that's seamlessly integrated into the center console in a modern, flush-surface design. Convenient and highly intuitive operation is assured through customizable features and smart phone-like touch screen icons that create a seamless connection and user workflow between the HMI system and other digital media. 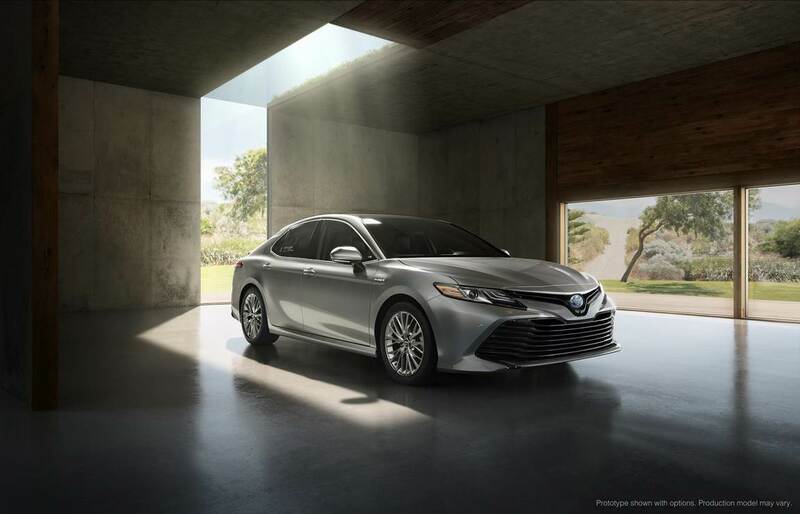 Among the many safety features on the 2018 Camry is standard Toyota SafetySense™. 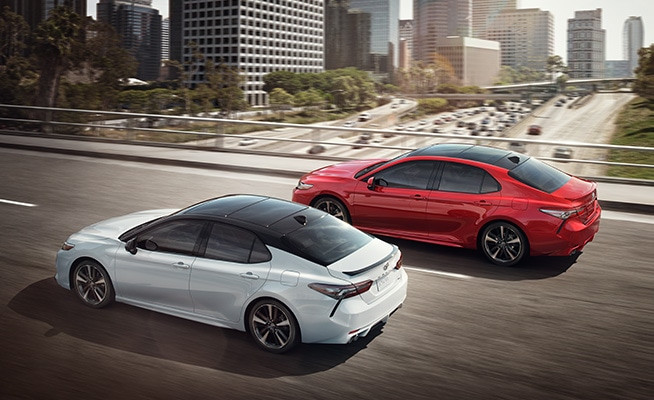 This multi-feature advanced active safety suite bundles cutting edge active safety technologies including Pre-Collision System with Pedestrian Detection, Full-Speed Range Dynamic Radar Cruise Control (DRCC), Lane Departure Alert with Steering Assist; and Automatic High Beams.Select models will also come with standard Blind Spot Monitor with Rear Cross Traffic Alert.